Monday-short run. Tuesday-strength training. Wednesday-cross training. Thursday-short run. Friday-strength training. Saturday-long run. Sunday-rest! 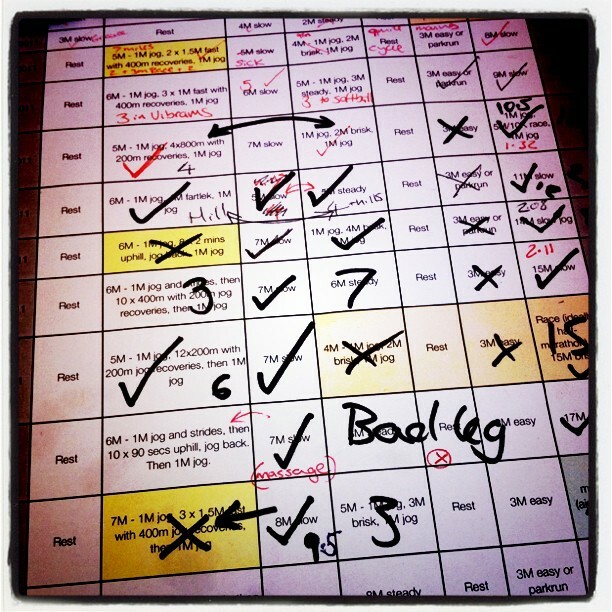 Are you following a training plan? Whether you’re a beginning runner or a seasoned veteran with a wall of medals, you’ve got to have a plan. You need to know what your strategy is from day-to-day in preparation for upcoming races. Training plans are usually developed by experts. They develop plans so runners will have the endurance to successfully complete whatever their distance goal may be. Many faithfully follow Jeff Galloway’s trademark plan, designed for those who desire a mix of running and walking. 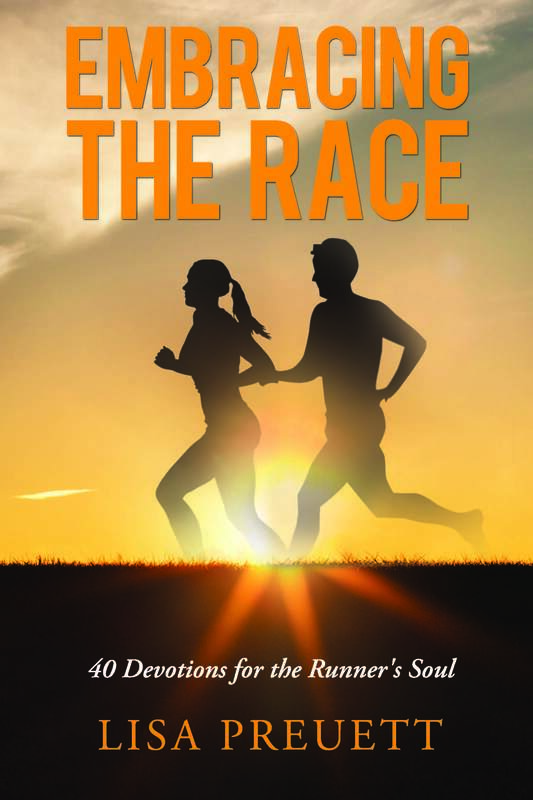 Running expert Hal Higdon is known for his myriad of training plans for every running level. Runner’s World magazine lays out multiple plans to choose from. Beginner 5K plans. Intermediate 10K plans. Advanced half-marathon plans. Beginner marathon plans. Whatever your goal is, there’s a strategic plan mapped out specifically for you. Once you embrace a specific training plan, you know without a doubt that it’s equipping you to be a better runner. And most importantly, it enables you to cross the finish line. Imagine a half marathon on the horizon without a training plan in place. Would you just go with the flow from week to week depending on how you felt? Would you show up at the start line unprepared? 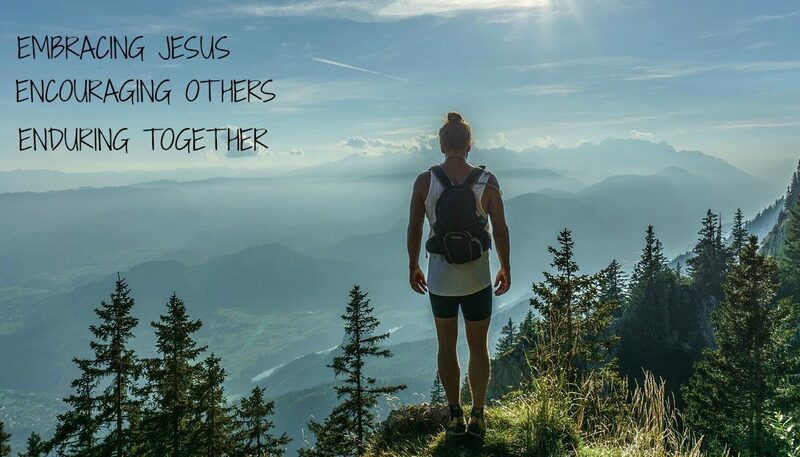 Just as runners follow a training plan, in the same way we follow a training plan to live our lives for Christ. In this case, there’s not a multitude of plans to choose from. It’s called the Bible. Whether you’re a new Christian learning to walk or a seasoned follower teaching others, we all live by this training manual. God’s breathed, inspired and flawless word—not the opinion of men or current culture. This is what aligns us with our creator. This is what keeps us on the righteous path. Without it, we’re like a clueless runner without a training plan. The Bible—our training manual for life—was developed by an expert. God himself used many people—led by the Holy Spirit—to write his story for us. From the creation to the fall. From the cross to redemption. He shows us who he is and how we are to live for him. A runner’s training plan dictates daily steps to accomplish. But when it comes to God’s word, we have to dig a little deeper to hear him. We have to be still long enough to know what our next step is. We must be patient, studying and soaking up what God wants to show us. The word of God will challenge us, yet comfort us at the same time. The word of God will show us our sin up close, yet it equips us with strength. Whatever each day brings, God desires to teach, direct and guide us on the path he’s prepared for us. When we embrace God’s word, it equips us to be better followers of Christ. Whatever situations we face, his word gives us direction and insight. The strength we gain from the word of God enables us to thrive, and not just survive. READY? How would your life change if you engaged in God’s word with the same devotion you give your training plan for running? Identify an area of your life where you need direction. Pray and ask God to speak to you through his word and show you your next step. GET SET. 2 Timothy 3:16-17 All scripture is God-breathed and is useful for teaching, rebuking, correcting and training in righteousness, so that the servant of God may be thoroughly equipped for every good work. GO! Heavenly father, thank you for giving us your word! Please help me embrace it for every situation in my life. Help me to understand your word when it seems confusing. May your word guide and direct me for all my days no matter what others around me are saying. Amen.